Looking for the best lodging near Volcanoes National Park? Look no further than Crater’s Edge, a newly built contemporary home of massive timbers, walls of glass, luxurious furnishings, and hidden surprises to enchant you with warmth and sophistication. 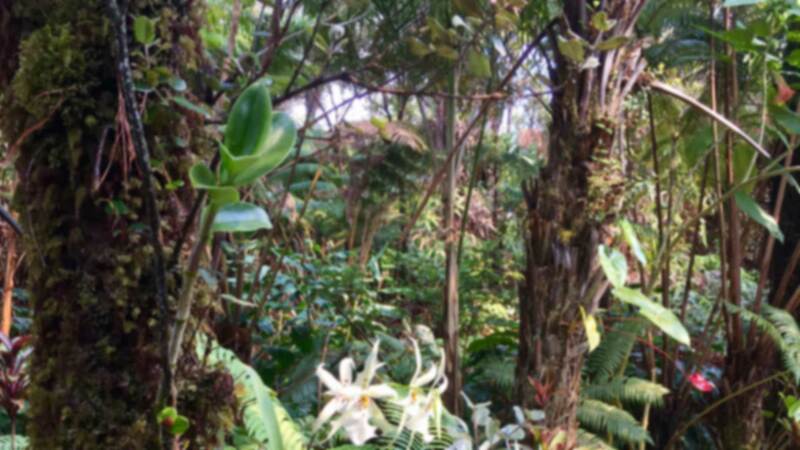 You'll feel warm and enchanted by our attention to detail, from the native Hawaiian plants to the fresh banana bread and fruit we provide to welcome you to your getaway in our private suites. 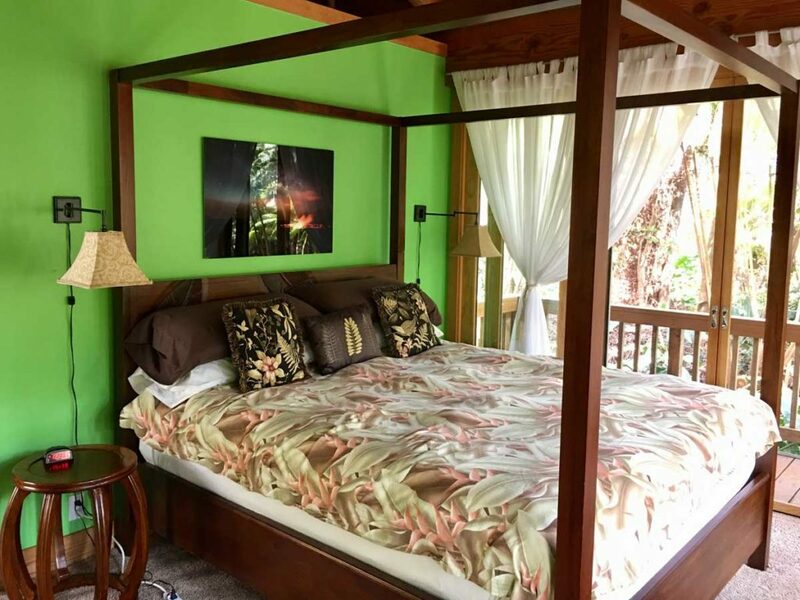 Located just one mile from Hawaii Volcanoes National Park in the arts community of Volcano, we offer two private vacation rental studios that are the perfect alternative to a structured and busy bed and breakfast environment. 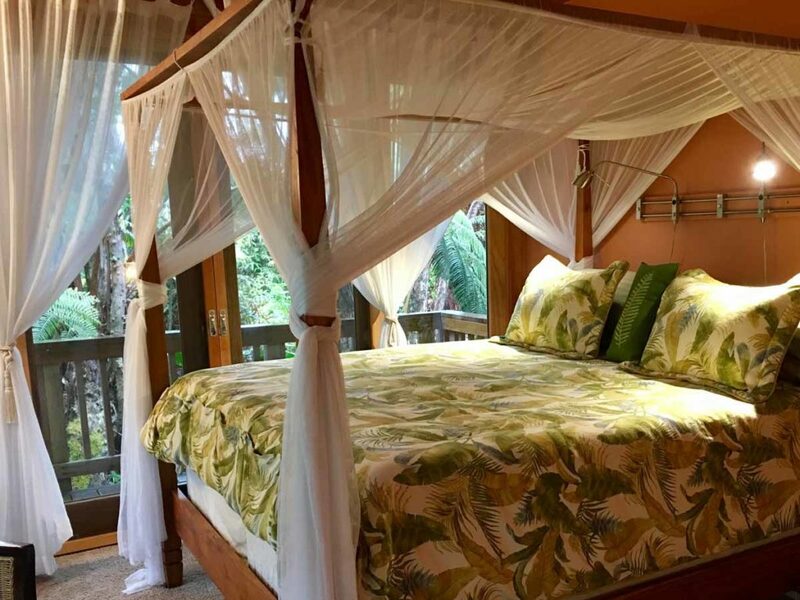 Each spacious studio is nestled into the surrounding native Hawaiian forest and elegantly furnished with a king-size canopy bed, cozy fireplace, bathroom with stone and seamless glass showers and vessel sinks, separate Jacuzzi tub, private entrances and decks, and everything you need for a comfortable volcano getaway or perfect honeymoon. 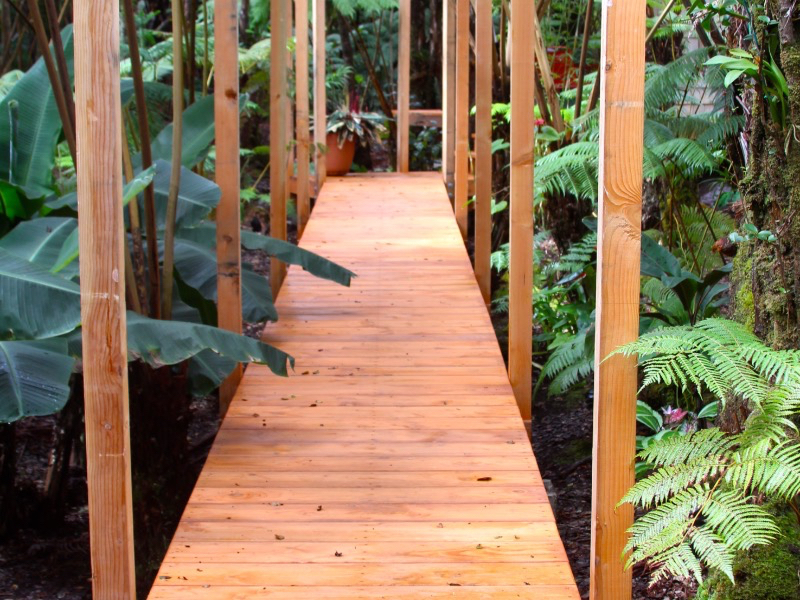 Convenient lodging near Volcanoes National Park means you can unwind from a long day of hiking in our unique forest spa hot tub outdoors in the beautiful fern forest on our half-acre botanical paradise. Come step inside and be inspired and pampered at the Crater’s Edge! At the Crater’s Edge is a tranquil, relaxing retreat best suited for adults. Children are allowed, but each suite only accommodates one king-size bed. Please keep this in mind when making reservations with us, and we look forward to having you here At the Crater’s Edge.